Huey is joined by American singer-songwriter and multi-instrumentalist Shuggie Otis, plus Prince Fatty and Hollie Cook take him back into their world of dub. Aw jeah. Huey's here with the jams in the jar, and love in his heart. The year's barely started and already we're in the presence of a legend. 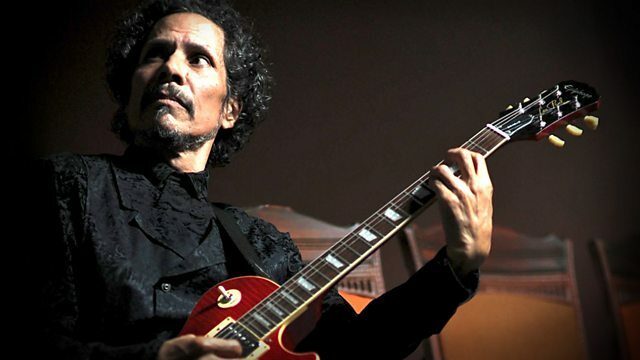 The American singer-songwriter and multi-instrumentalist Shuggie Otis is Huey's guest. In another universe he's in the Rolling Stones. Prince Fatty and Hollie Cook also take us back into their world of dub, complete with echo and all the sound effects. As our dons of Sharing Is Caring they have risen to the challenge and not only brought in a great box of records, but they've also brought their dub FX rig. Turn your bass up! For those more tender hearted souls, we'll be Doo Wop-ping That Thing once again. And as always we'll be wishing you love, peace and soul as we turn the clock and get down with the Soul Train. 24 Hours In A Disco. We Got The Funk - 20th Anniversay Anthology. The Golden Age of Rock 'n' Roll: Special Doo Wop. From The Muddy Banks of Wishkah. Inspiration Information / Wings of Love. Tryin' To Make Ends Meet.